This USB 3.1 PCIe card lets you add four USB Type-A ports to your computer, through a PCI Express slot. With two independent 10Gbps channels, the card makes it easy to upgrade your PC to the faster speed of USB 3.1 Gen 2 so that you can access newer peripherals at twice the speed of traditional USB 3.0 (USB 3.1 Gen 1) cards. When multiple devices are connected, traditional single-bus USB cards share your maximum bandwidth between all ports. By employing two host controller chipsets, shared across two ports rather than four, this 4-port USB 3.1 card dedicates up to 10Gbps for each set of two USB ports. It reduces performance bottlenecks and doubles your total available bandwidth to 20Gbps. With higher data throughput support, this PCI Express USB 3.1 card is a necessity for external hard drives, hard drive enclosures, and many other USB 3.1 peripherals. Plus, the USB card includes an optional SATA or LP4 power connector to connect to your system power supply and deliver up to 900mA of power per port to USB 3.1 bus-powered devices (500mA for USB 2.0). The card is ideal for use with large external storage solutions. 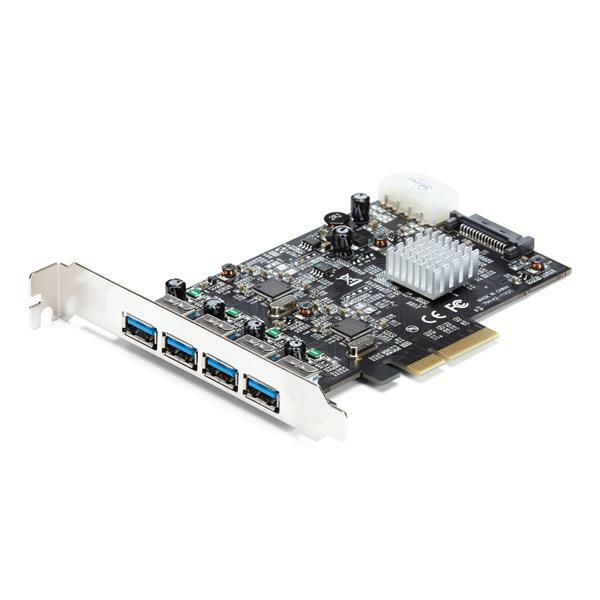 The 4-port USB 3.1 card features dual independent channels to your computer and shares 10Gbps of bandwidth between two USB ports. 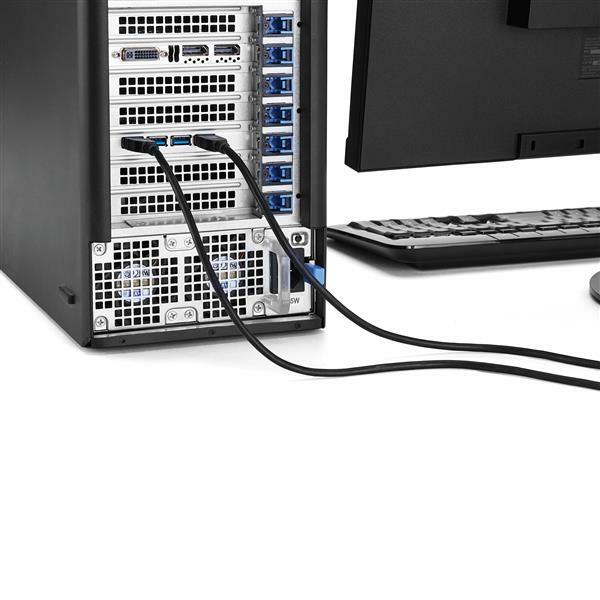 With four external USB-A ports you can connect more devices to your computer. The card provides easy access to commonly-used peripherals such as your flash drive and external hard drive and allows you to connect to both current and future high-bandwidth USB-A devices. For more flexibility, you can couple the card with a USB-C to USB-A Cable (USB31AC1M) and connect your USB Type-C™ devices. Connecting older peripherals isn’t a problem. This versatile USB 3.1 Gen 2 (10Gbps) card is backward compatible with legacy USB 3.0/2.0 devices that use the common USB Type-A port, so you can eliminate the added expense and aggravation of purchasing new devices. 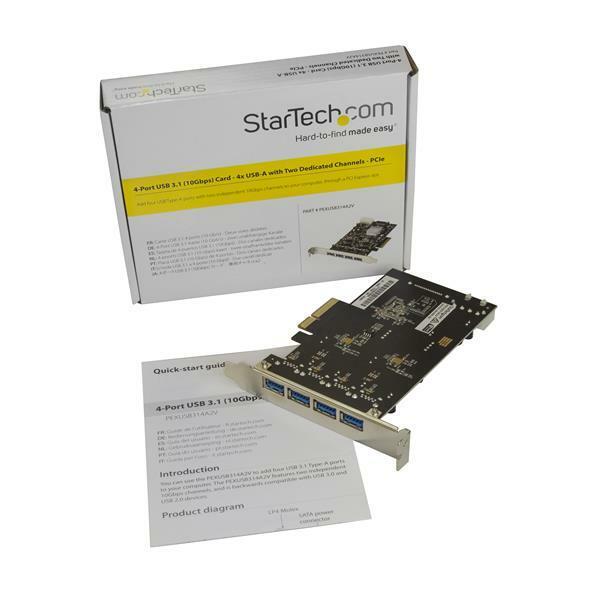 The PEXUSB314A2V is backed by a StarTech.com 2-year warranty and free lifetime technical support.